Help me, help me, help me, he cried! Before the hunter shoots me dead. I'm one of the luckiest chicks in geekdom this week. 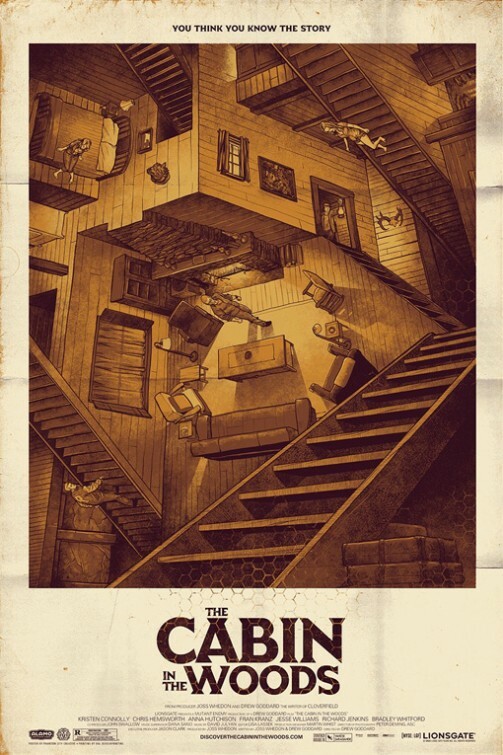 By pure chance I happened across a promotion: this website was *giving* away tickets to Joss Whedon and Drew Goddard's new film, "The Cabin In The Woods". Free. Advance screening. With some stuff in there about no cell phones and some other fine print I didn't really read. So I clicked and clicked and got me a ticket, then jumped around and made the husband get one too (poor patient man!) and printed them out and stared at them for a while. There was a time we didn't think it would ever get made. It's been talked about for what, four years? Five? However long it was, the fact that it finally was coming to a movie theater near me was unbearably exciting. I kept trying to talk myself down to some sort of sanity by thinking stuff like "It probably won't change your life. It's just another movie. Chill out, don't be so anxious, it'll get here eventually." I was... mostly successful. And then, Thursday night. Which is appropriate enough since one of the stars plays Thor in the Other Whedon Movie this summer. The husband and I left work as soon as possible and drove the rather long haul to the movie theater we'd never been to before, getting there an hour and a half early. We were lucky - we were in the third of six lines. By the time we began to get into the theater, people were queueing up outside. There was some kerfluffle about people cutting and some mismanagement by the movie theater staff, but - we made it in. It was an odd mix of local theater kids in black doing their regular minimum-wage thing and obviously Hollywoodized folks. Those could be distinguished by their tremendous poise, perfect clothing, and frightening thinness compared to the average geekfan in line. On a tech note, the cell phone detectors were pretty dang cool; a little wand that a gentleman with a distinct European accent waved around my purse and pickets which had lovely flashy lights and important-sounding beeps. People with cell phones were given the option to check them into clear plastic baggies and given a claim ticket; at the door we were informed that because of our tickets being what they were, we got to sit in the green section. Which was up front, which... I think was supposed to make us feel better about not getting the stadium seats in the back. Hey, free tickets! I'm not gonna complain about where they seated me. And it was good for the surprise. I suppose it wasn't a surprise to anyone else in the theater, but it was to me. Director and co-writer Drew Goddard and actress Amy Acker were there. He has a beard. She is tiny and smiles a lot. It just so happens that Drew's old alma mater was the city we were in, and that he'd gone to film school here; his film professor was in the audience, and was quoted as having once asked when Drew was going to make a serious movie. He pointed back to the screen and said that as we could see, he still hadn't. He introduced the movie by saying that it was a love letter to horror movies; as it was itself a horror movie, and he was a horror movie fan, in the great tradition of horror movies we were absolutely allowed to be rowdy. The Director Said So. This was accepted whole-heartedly by the audience. The lights went down on cheers. It's a safe bet the staff cringed in terror when he said that, but on the whole, we were quite well-behaved. The movie starts... and this is a rather abrupt thing in a pre-release showing because there are no advertisements, no trailers for other movies. It goes straight into the Lionsgate gears churning away onscreen. Then some dark red stuff drips down the screen, superimposed with gruesome images from history. Mr. Goddard later explains that this is not blood, because blood is really difficult to film; it's melted chocolate tinted red. He also explains that the only reason the choco-blood is there is because the studio was afraid that people would get into the theater, see the opening scene, and think they were in the wrong movie. Drew and Joss replied that this was, in fact, the general idea they were going for. Apparently the studio was worried enough about it that they ended up putting in the opening credits anyways. The opening scene - I'd talk about it but honestly, we started laughing soon after the action started and didn't stop for quite a while, so this is best left undescribed lest I spoil the funny. Trust me, it is indeed funny. In fact... so much of the movie is brain-melting the first time around I'm going to make this as spoiler-free as possible, so you can enjoy the madness fresh and utterly unprepared. So, some general roughing-out. That's not spoilery. This is not a big budget movie, folks. It's a Cabin in the Woods, not a Hollywood mansion. To continue that metaphor, because it's an awesome one, Joss Whedon has three houses on the market this summer: a posh, slick, every mod-con city place on Avengers Avenue. Comes with excellent lighting, shiny gadgets in all the rooms, and is sure to fetch a high price with the buyers. Then there's the rustic, amusingly decorated Cabin In The Woods. To be more accurate, it's a Joss and Drew co-project. It's definitely in a remote location - not everyone will like the lack of amenities, especially those folks used to the flash of the city; but folks from the more rural areas who are familiar with the Dark & Scary woods will appreciate it a great deal. This is your midrange place. Then there's his arthouse project, the Much Ado About Nothing black & white - that's a cheap but carefully decorated loft in an urban renewal area of the city, populated mostly by folks who know the definition of "chiaroscuro" and "linguistic conversion" and know how these apply to Theatre. This is a movie that mocks modern horror movies relentlessly. The mocking is fairly gentle, though, and takes the shape of scenes reminiscent of pretty much every horror movie which takes place on planet Earth. Your well-known horror tropes abound and are played with, played straight, and averted with riotous abandon. In some senses it's an homage as well - to the origins of modern horror and the stories horror comes form. Deliberately staged to stand out a bit from each other, often slightly conflicting with the tone of the rest of the movie, the scenes range from pure summer comedy to 80's teen slasher to classic screamfest. The cinematography is dark, sometimes out of focus, sometimes a bit jerky (no handicam, thank heavens) and often a little bit campy in the effects department. I'm tempted to think these effects were deliberately left a little unfinished instead of being smoothed out in post production for two reasons: one, because the horror movies of olde were this way, and another - it's cheaper. The voice and feel of the of the movie are both familiar and unfamiliar. It can be tempting for Whedon fans to ignore Drew's contributions going in, but that's a mistake. This isn't a copy of Serenity or Buffy or Dollhouse, with all the familiar Whedon hallmarks. 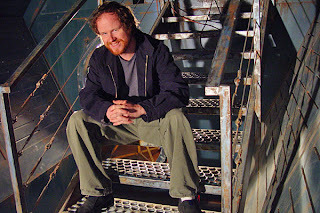 That said, some aspects will be very familiar to a Whedon fan - rest assured, no matter how choppy it can seem, it does have the Whedon sense of playing with a joke over time. As with all his works, there are things which are seen in the beginning which are referenced in the middle and end. It's important not to go into this expecting the same thing again - it's different. It has a different feel, a mixed-lollies grab-bag Frankenstein feel, a thing cobbled together by madness and genius. In the past we've definitely seen more of Whedon than of Goddard, so saying a thing has a Goddard element to it is a bit new; yet there are elements of the character interaction that remind me of ways people interacted in Cloverfield. Mr. Goddard mentioned in the post-movie Q&A that he'd been a huge admirer of Mr. Whedon from the moment he watched the first episode of Buffy. After film school he weaseled his way onto Joss's team so he could work with him. 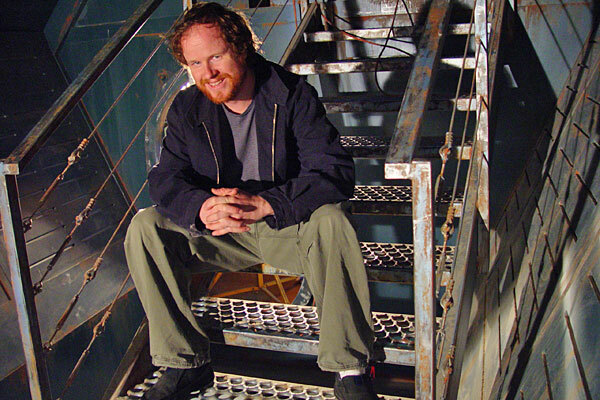 Other interviews with both Joss and Drew discuss how the script was written in three days with both of them passing the papers back and forth; in some respects I think the general tone of the movie shows Drew's developing voice as a filmmaker, separating itself from Joss Whedon's rather subversive influence. The movie can seem somewhat shallow, at times, if you're comparing it strictly to other Whedon works. That aspect is deceptive, and necessary to the film as a reflection and subversion of modern horror. It's not deep in an immediate sense; there are few profound questions explicitly pointed out by the plot or dialog. They exist, but are mostly left to the viewer to consider later (and possibly debate, hotly, in drunken convention party rooms and fiercely-defended internet thread wars). The lack of uncomfortably profound life questions throughout most of the movie leaves room for some crazy fun; there are so many moments of pure awesome stacked on top of each other in this movie that they can become difficult to track. Another iconic Whedon stamp is his ability to switch from wild comedy to spine-chilling seriousness in the time it takes a bat to squeak; this happens more than once. Drew, on the other hand, seems to bring with him a serious dose of chaos. The manic swinging between solid plotting and complete insanity takes some adjusting to, but makes the film something you can definitely watch more than once. Leaving all the meta-discussion behind... the movie happened, and then it ended, and I can't talk about that because it would be horrible to give it away. It was fairly wicked, though. It isn't going to turn the horror genre on its head as some trailers hyper-excitedly describe, but even with all the anticipatory plaque the marketing machine builds up it still definitely left me feeling a sense of delight and satisfaction. The husband has in fact gone further and said it might be his new favorite horror film. To put this in perspective, the first movie we ever watched together was Evil Dead. His pick. The audience did get to ask a few questions after. Drew and Amy were amazing at this. He should be commended for his patience with one questioner, who rambled a bit and mumbled a bit and made the (rather tactless) audience groan - he turned it into a witty bit of entertainment without insulting the asker. And another, who asked a rather rude question about the voice of the movie by saying it seemed mostly Joss, and was answered quite politely. Of the better questions, answer include: His favorite two horror movies are apparently "Aliens" and "The Thing". Amy Acker does not like horror movies but she likes this one, so it's become her favorite by default. There was a discussion on the movie looking at horror's obsession with the destruction of youth, which he said seemed to have become too much a part of the more recent movies. In the end we gave the whole evening a standing ovation. My final reaction, as I walked out of the theater to collect my special edition poster and bright red t-shirt: I hope to someday have groups of horror fans over to the house with copious bottles of lovely wine and stacks of individually made bingo cards, covered in scenes of note from the movies, so that we can watch the movie for the hundredth time and try to get a full line on our cards while shouting at the screen. I don't always watch horror movies. I like the Evil Dead franchise, and enjoyed Tucker & Dale vs Evil and some others. This seems more like one I would like. Of course, with Whedon involved, I'm way more interested. :) Thanks for the review!